In tackling London’s food waste, of which it processes 75,000 tonnes pa, BIO Collectors’ Paul Killoughery almost nonchalantly describes the 1.7MW electricity produced as ‘the easiest thing we do’. Of course there’s much more to it than that, but the efficiency and effectiveness of this trouble-free anaerobic digestion operation isn’t down to luck – the Managing Director and Founder of London’s largest independent AD food waste recycling plant made it his business to take ownership of the system that converts all that food waste into biogas, electricity and fertiliser. 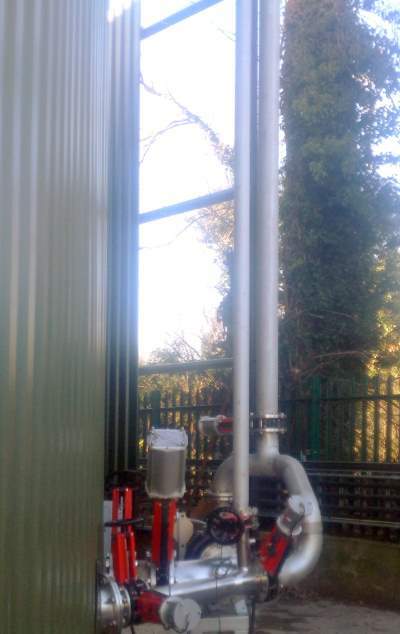 “Everybody knows that for AD, achieving the best possible mixing for your tank is the key”, said Paul Killoughery, “and in achieving that here for the past four and half years at our site in Mitcham, we haven’t even spent as much as £1,000 on parts. Our homework has certainly paid off”. “Naturally, we wanted our tanks to be mixed properly, but for us to manage our own plant on a day to day basis, and put right any wrongs, we simply had to have equipment that was easily serviceable and repairable from the outside. As it happens though, things haven’t gone wrong. We’ve had no major problems whatsoever”. “We heard horror stories of crust becoming so thick that it had broken the tank, making it impossible to retrieve mixers, so we chose a proven system that wouldn’t see the development of different layers of waste within a tank. For our regime, everything had to be mixed properly, with never any sign of a crust. 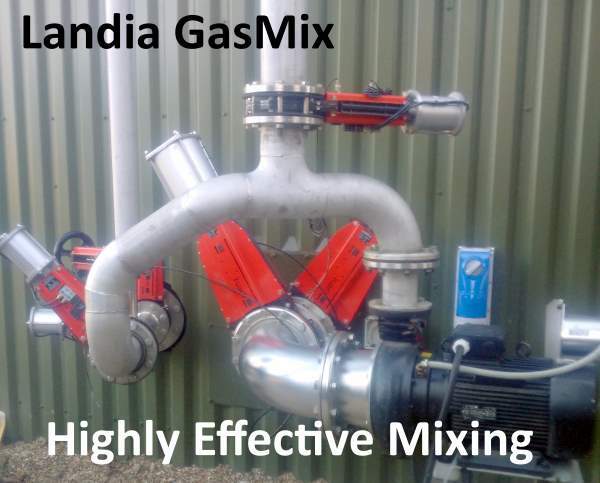 In fact, Landia, the manufacturer we chose to work with, for their externally-mounted GasMix system, said that we could achieve our needs with three mixers, but because our philosophy is that everything has a redundancy, we decided on four: two GasMix and two separate Landia propeller mixers (also externally-mounted), so that we always have back up. Another big plus for us was knowing that unlike many, Landia has the manpower and the spare parts right here in the UK to offer us immediate help if and when we ever need it”. BIO Collectors’ AD operation in Surrey is unusual in as much that it operates along very similar lines to how the water industry generates renewable energy from sewage sludge. The Mitcham plant began as an aerobic/composting site, which worked well, but ultimately wasn’t considered to be the best business model. After BIO Collectors bought the business, they decided to add an AD plant, creating a two-phase system that sees the aerobic treatment pasteurise and hydrolyse the food waste, making it easier for the methane bugs to work – before pumping the liquid into the AD tanks. Whilst the vast majority of tanks rely on hydrolyzation in the AD tank, BIO Collectors already has this part of the process completed. The net result is a very significant 30 per cent-plus reduction in retention time. “but as it does for water companies, it works very well for us. 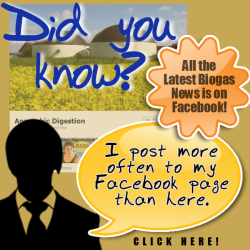 We probably do more mixing than most, and we get great gas – quickly. Energy usage was a secondary consideration, but we currently only use the Landia GasMix at a rate of 5 minutes on and 10 minutes off – and depending on what we see and how high our gas levels are, we can choose to turn off the propeller mixers if we need to. We also use our Landia pumps to pump from our AD tank back into the AD liquor store, so we don’t need a separate pump for that task. For its installation, the other advantage we saw with the Landia GasMix was that it didn’t require extra structure for the tank, nor a concrete lid, which would have been far more complex. We’ve double-valved everything and are fully bunded, as well as having everything protected from vehicles, but the AD part of our business is still the easiest. If you understand the process and realise that the right mixing is essential, then it doesn’t have to be complicated”. The only gas-to-grid food waste operation in Greater London, and one of only three in the whole of the South East, BIO Collectors has contracts with the likes of Sainsbury’s and Pizza Hut, also collecting bulk waste from distribution centres, plus schools, hospitals and hotels, as well as liquid waste from breweries and factories. With only just over 50% of London’s 33 borough councils collecting food waste separately, the company wants to see the same rules implemented that have helped bring about vast improvements in Scotland, Wales and Northern Ireland – improvements that have left England lagging way behind with a recycling rate of just 35%. “The result of good mixing has also produced top quality digestate”, said Paul Killoughrey. “It is high in NPK (Nitrogen, Phosphorus, Potassium) and very popular with the arable farms in Surrey who see increased yields. Our PAS 110 test for residual biogas conclusively shows that our mixing system is working to an extremely high standard. It is a major benefit to the whole process”. Correct me if I am wrong but isn’t the idea of an AD plant, using a two-phase system that sees the aerobic treatment pasteurise AND hydrolyse the food waste, a big jump more sophisticated than anything much anyone has done yet in the food waste AD sector?